Stacy couldn’t wait to graduate from nursing school so she would never again have to crack open a textbook or study. Within weeks she landed the job of her dreams in ICU. To her surprise, her manager immediately enrolled her in a 4 weeklong Basic Arrhythmia course. After passing her Basic Arrhythmia, she was informed she needed to earn her Stroke Certification. For nurses, continuing education is a lifestyle. 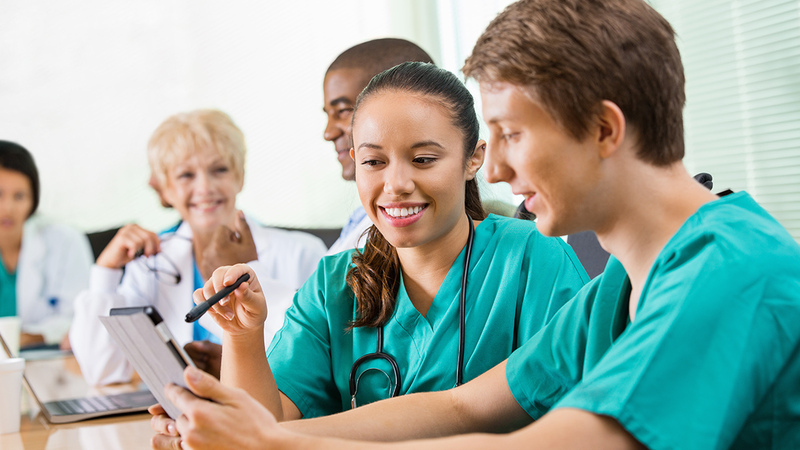 Continuing education for licensure, or CEs, is designed to keep nurses up to date in their practice and abreast of current trends and guidelines. Most states require nurses to complete continuing education on a regular basis in order to maintain licensure. The number of CEs required varies widely because each state board of nursing sets its own rules when it comes to licensure and continuing education requirements. For example, some states, including New Jersey, California, Arkansas, and Iowa require 30 CE hours every two years. Florida currently requires 24 hours of continuing education. In Washington, there is a 45-hour requirement, but it must be completed every 3 years, not every 2 years. Additionally, some states require topic specific continuing education. Nurses in Rhode Island are required to learn about substance abuse, while Michigan and Oregon nurses must complete courses on Pain Management. It’s important to know exactly how many CEs your state requires, and the time frame for completion. Traveling nurses who hold licensure in more than one state need to meet CE requirements in each state. Be sure the CE education is approved by your state BON or the American Nurses Credentialing Center (ANCC). ANCC is the gold standard and recognized by all states nationwide. Some employers pay for a portion of continuing education as a benefit. For all nurses, the cost of continuing education can typically be included as a tax write-off when completing tax returns. Subscription based CE programs such as NursingCE.com offer unlimited CEs for a very reasonable annual fee. Clinical guidelines change rapidly. Often new evidence contradicts long-held practice. As an example, for years nurses were trained to use wet to dry dressings as a way to promote granular healing. Now it’s well known that wet-to-dry dressings delay healing, increase wound pain and make the patient more susceptible to incidence of infection. Other evidence-based practice recommendations are not so well known. Most nurses know the seriousness of hospital-acquired infections, but not all know the most commonly acquired hospital infection. Keeping up with the latest developments takes purpose and planning. Professional development is an investment in yourself as a professional and includes ongoing continuing education. Continuing education takes many forms. Some nurses pursue continuing education by seeking an advanced degree such as a Master’s degree or Nurse Practitioner to advance their career and increase their salaries. Still other nurses obtain certifications in their specialty area to increase their marketability and demonstrate expertise. ADN nurses frequently go on to earn their BSN. In addition to counting towards graduation, academic courses count towards CE requirements. Typically for nursing-related courses taken in a college program, a semester course counts as 15 contact hours, while a quarter course counts as 10 contact hours. CEs, certifications, and degrees all provide credibility, recognition, and personal satisfaction, but lifelong learning is not limited to formal education. Lifelong learners are curious and are often avid readers. They are driven to seek out new learning experiences and to challenge themselves. A lifelong learner is the nurse who reads progress notes to better understand their patient’s diagnosis and treatment, and who becomes a niche expert in ABG interpretation or other topic of their choice. Stacy, our new graduate nurse, traded textbooks for nursing journals and soon discovered that learning by choice and by interest can be rewarding. Here’s a high five to Stacy and all nurses who understand why nurses need continuing education and value professional development.